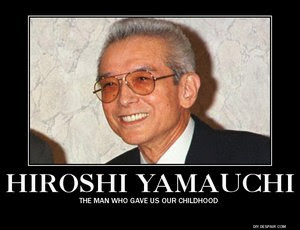 Hiroshi Yamauchi is the man who took the risk of turning Nintendo into a video game company. Without him it would still be a playing card company like it originally was. This is a tribute from Thundercat.